Tabletop gaming is more fun than ever! Come join old friends and new for a fun-filled, adult evening of mathematically rich, hands-on games. 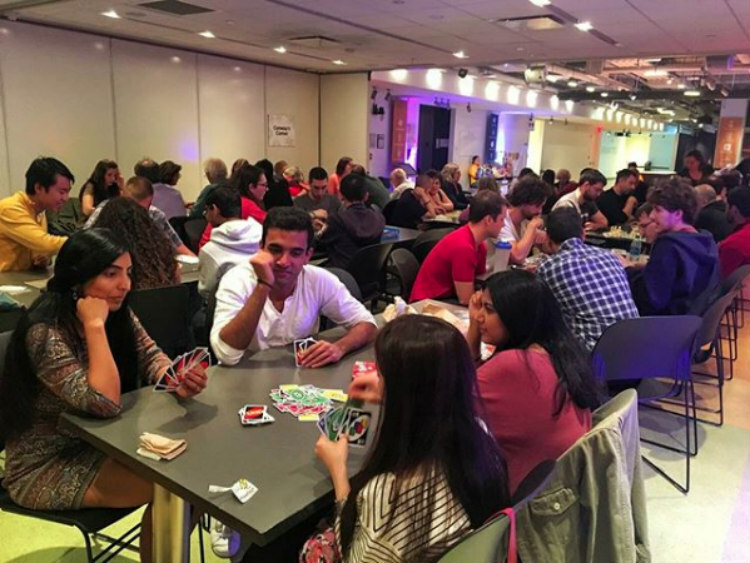 Bring a snack, play some games, and connect with new and interesting people, all while enjoying the unique evening atmosphere at the nation’s only Museum of Math. Please note that Equilibrium is an event designed specifically for adults. Children will not be admitted and tickets purchased for children will not be eligible for refund.